How can I add suppliers? 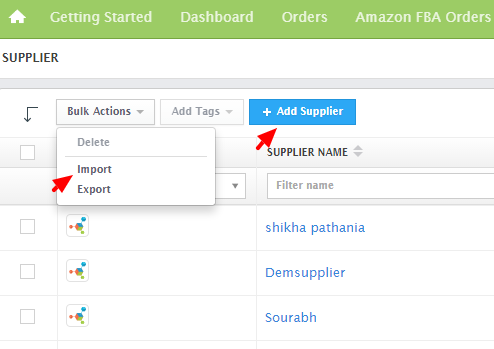 You can add suppliers manually in Orderhive for managing your purchases. 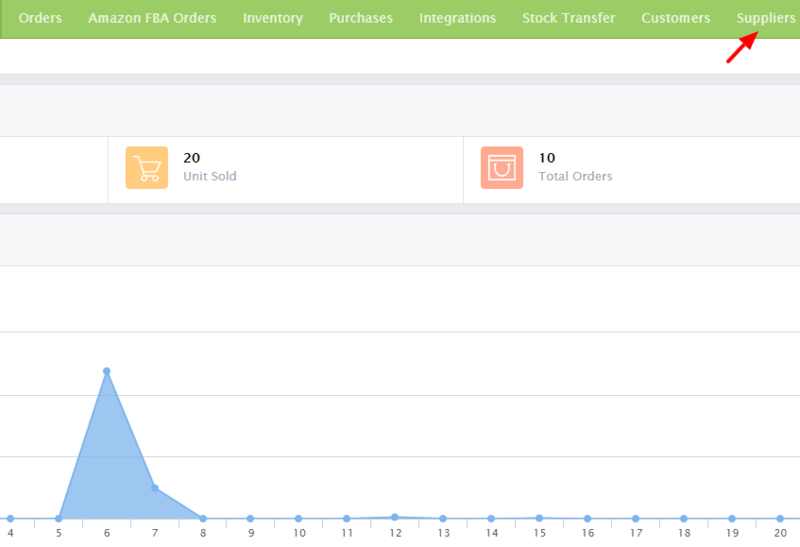 Adding suppliers will help you to centralize your purchasing workflow, so that whenever the stock is running out, you can instantly send a purchase order to your supplier. From the top menu, go to Suppliers. 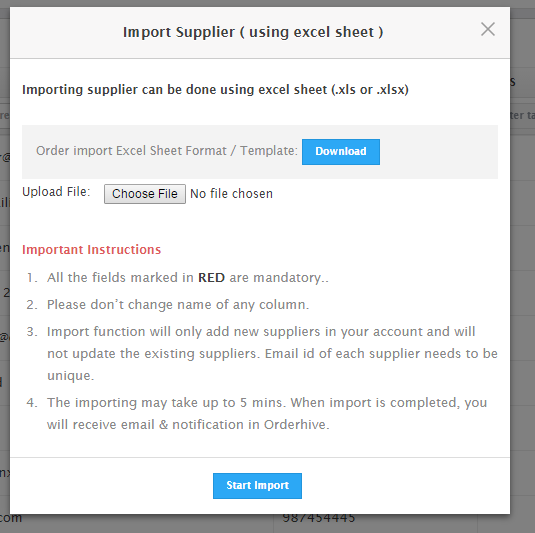 You can either add your suppliers one by one or import using an excel file. 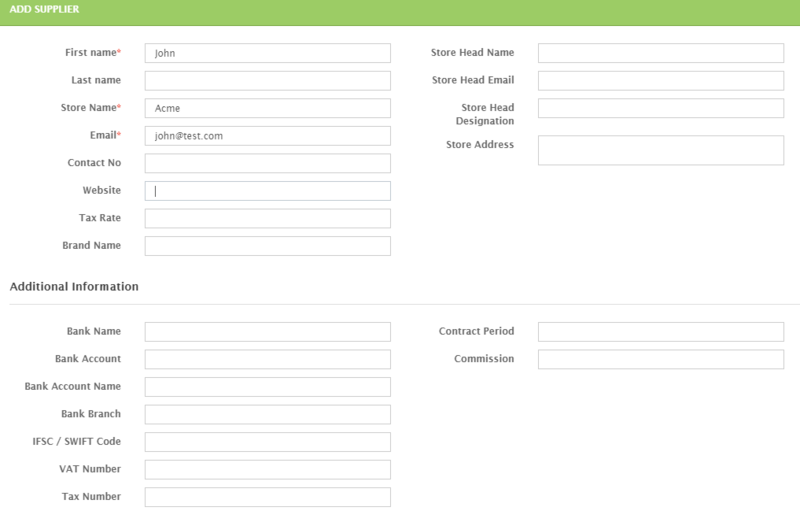 Enter all the relevant details like name, email address, website, bank details, etc. Now, click on Save & Add New. From the Bulk Actions dropdown, click on Import. Add all the suppliers' details at once and save the file. 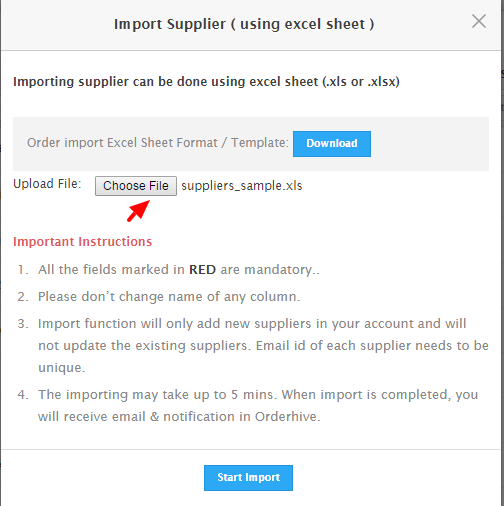 Now, upload the file via the Import Supplier popup. After uploading the file, click on Start Import. All suppliers will be populated on the Supplier listing page.